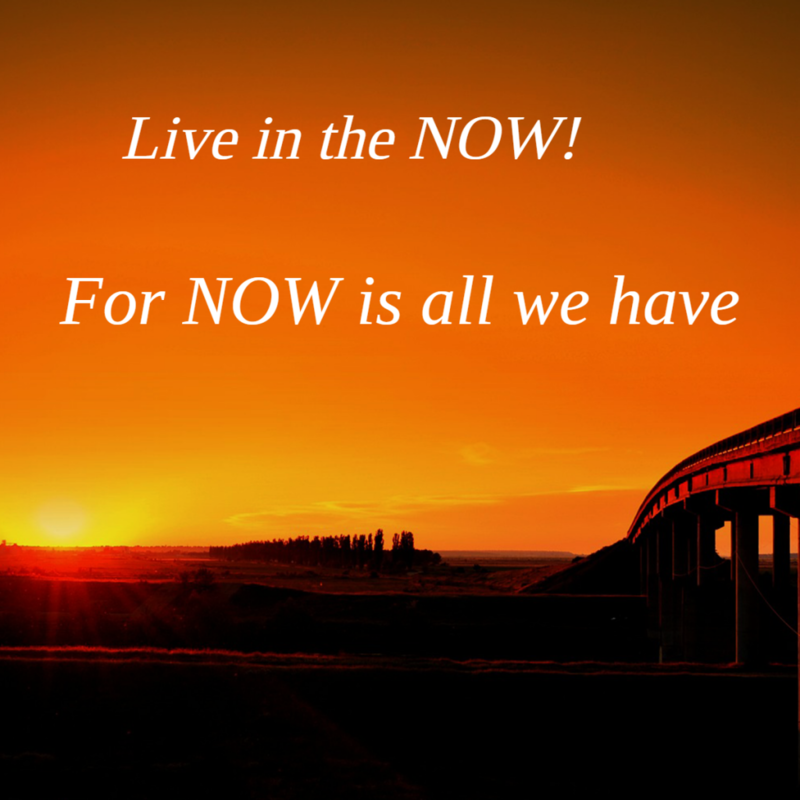 Living in the now is a powerful tool for living your best life. It has been said that we are human beings, not human ‘doings’, and yet we constantly strive after ‘success’. This drive can distract and stress us, and keep us so focused on our daily grind to achieve “success” that we have little time to relax, or improve ourselves in ways we would like. It can also make us feel like we have no time for ourselves, maybe worrying our world will fall apart. Old habits die hard: we may be acting as our parents wanted us to act, or in total opposition to that. Yet, as an adult, we need to find our own way of living, not live as someone else thinks we should. We may be bearing a grudge from long ago or feel hurt by something that happened to us many years ago. These things keep us stuck in the past and unable to find the power of now. Forgiveness is a powerful tool for giving up the past, so we can enjoy the now. What we do now will determine our future. Dreaming of what it will be like when we get “there” or chasing our dreams means we miss out on the here and now. The grass is NOT always greener on the other side, even if it looks that way from your present position, as Petunia the Goose found when she left the safety of “now” in the farm meadow for the future of sweet grass on the wild hill in the distance. The hill grass turned out to be dry and tasteless and there were wild animals who wanted to eat her. Sometimes, leaving for greener pastures is the best option but very often, it is a pipe dream that keeps us dreaming and avoiding living in the “now”. One of the best ways to avoid this is to cultivate an “attitude of gratitude” for what you have and focus on the positive side to your life.